Newly built property, designed by renowned architect. Two suites with individual bathroom each, 1 mezzanine with 1 double bed and space to accommodate 1 child, private bathroom on the ground floor, integrated living / dining rooms and kitchen, ceiling fans in the rooms, TV, two terraces, well-formed garden with space for three cars, one garage, external shower, barbecue, access to the beach in front of the main gate. Adoramos a estadia! A casa é sensacional, funcional, a área de churrasco pé na areia foi o que mais nos encantou. Adoramos o serviço da MARLI e da sua filha. O atendimento da Suely tbm foi o diferencial para a estadia ser maravilhosa como foi. Small beach with only 1 access, 550 meters from end to end, invariably clean and very quiet, located 16 km south of San Sebastian. Place conducive to rest and nautical sports. 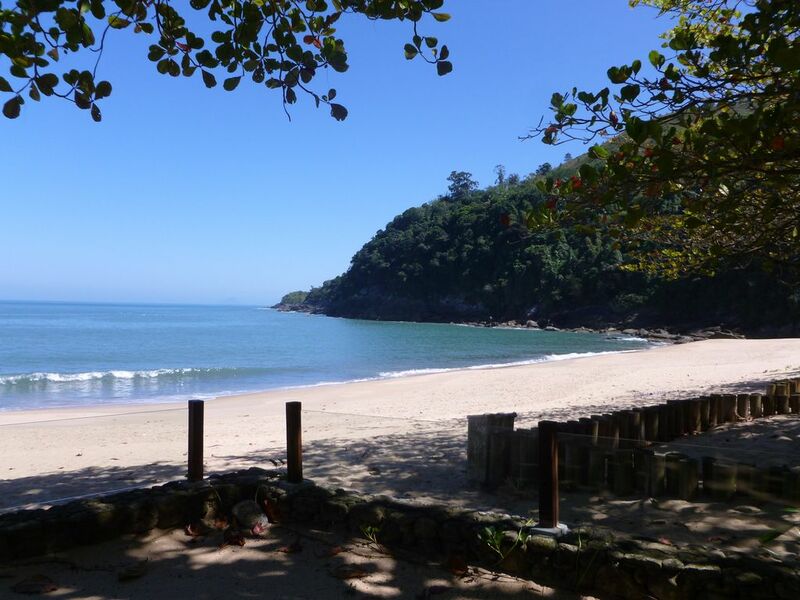 Beaches with restaurants and nightlife: Maresias at 9 km and Boissucanga at 18 km. Property located at 40 meters from the beach, with a lot of vegetation around, having an incredible view of the Serra do Mar.